This classic textbook aims to assist clinicians develop the consultation skills required to elicit a clear history, and the practical skills needed to detect clinical signs of disease. Where possible, the physical basis of clinical signs is explained to aid understanding. Formulation of a differential diagnosis from the information gained is introduced, and the logical initial investigations are included for each system. The first part of the book addresses the general principles of good interaction with patients, from the basics of taking a history and examining, to the use of pattern recognition to identify spot diagnoses. The second part documents the relevant history, examination and investigations for all the major body systems. The third part illustrates the application of these skills to specific clinical situations. The final part covers preparation for assessments of clinical skills and the use of these skills in everyday practice. The book has accompanying videos demonstrating many of the key clinical examination routines as set out in the book. Edited by J. Alastair Innes, BSc PhD FRCP Ed, Consultant Physician, Respiratory Unit, Western General Hospital, Edinburgh; Honorary Reader in Respiratory Medicine, University of Edinburgh, UK. ; Anna R Dover, PhD FRCP(Ed), Consultant in Diabetes, Endocrinology and General Medicine, Edinburgh Centre for Endocrinology and Diabetes, Royal Infirmary of Edinburgh; Honorary Clinical Senior Lecturer, University of Edinburgh, UK. and Karen Fairhurst, PhD FRCGP, General Practice Principal, Mackenzie Medical Centre, Edinburgh; Clinical Senior Lecturer, Centre for Population Health Sciences, University of Edinburgh, UK. A new editorial team has undertaken a substantial review of the book&apos;s contents and with the help of many new authors has radically revised the order and approach of the text. 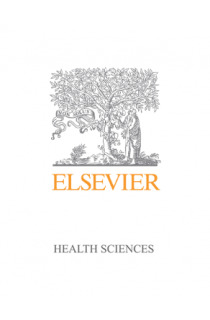 Several new chapters have been created including a chapter on patients with mental disorders; a chapter covering the approach to a deteriorating patient; a chapter on assessment of patients towards the end of life and two new chapters on applying the key clinical skills during assessments and in practice. The structure of the text has been rationalised with careful use of boxes, tables and figures to set out the concepts for maximum clarity.